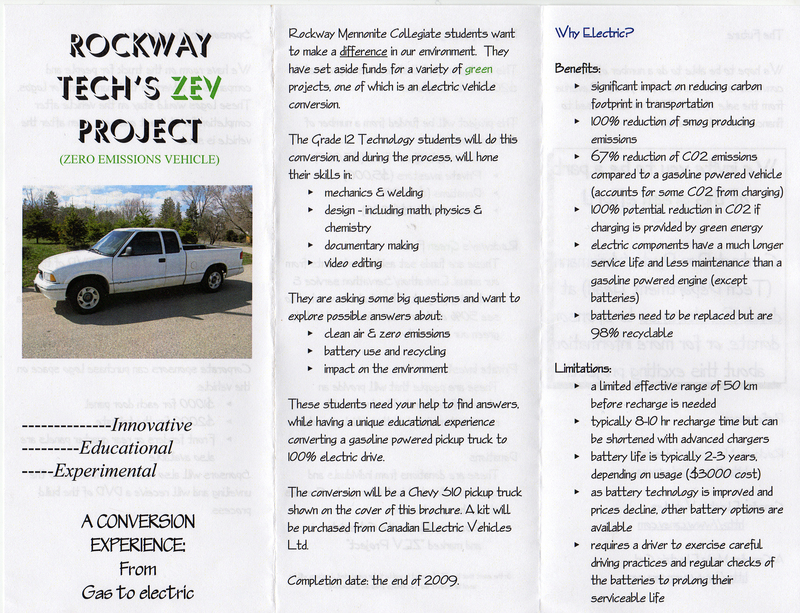 I helped design this brochure for Rockway Mennonite Collegiate to explain our ZEV project and help in our fund raising efforts. 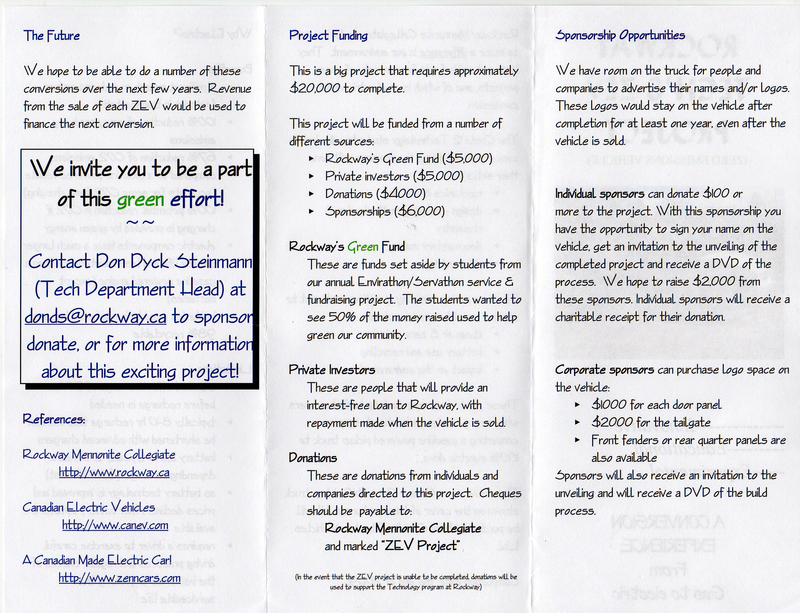 The project is well on its way, and this year’s students were pleased with their progress. The September group will also be doing some fund raising in order to complete the project.